Please contact directly to our supplier Sakatsu Gallery; Now only Japanese version is available at Sakatsu. 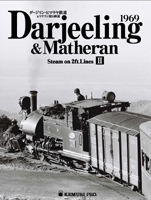 You can get the English text of “Darjeeling & Matheran 1969” when you buy the book through "Camden Miniature Steam Services". At the peak, there were as many as 300 of American made steam locomotives operated in Hokkaido, the northernmost island of Japan. The last 30 of such American old engines were still in operation until middle of 1960’s there. 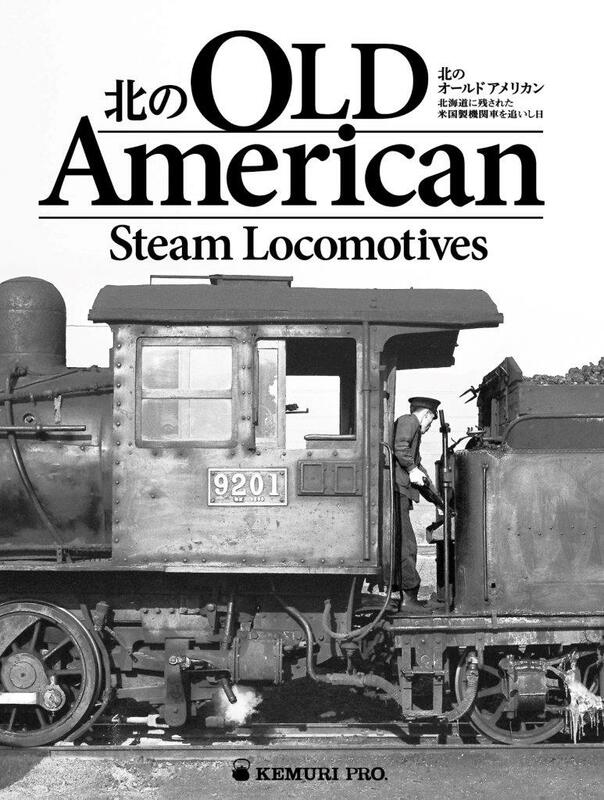 This 158-page book shows the most impressive moments of the last days of old American locomotives in Japan, including Baldwin 2-8-0, 2-6-0 and Brooks tender engines. All 240 photos are in black and white, with illustrations and maps. text; Japanese. See further details here. 42-inch gauge Kaijima Coal Mine Railway had 11km mainline, some branches, and big loop for extracting sand. It was shortly before the line was cut short when some of Kemuri Pro members visited Kaijima and took more than 1000 photographs of old Alco and Koppel tank engines, and Bucyrus steam shovels still in use. Selected 140 photographs shows the whole perspective of the railway and its fascinating scenery. With drawings of rollingstock including Bucyrus Atlantic 45 original blue print. Also featuring small steam locomotives working on very rare 23-inch line of a subsidiary company of Kaijima. The world’s most beautiful photobook on Darjeeling Himalayan railway (DHR) and Matheran Hill Railway (MHR). 98pages, with 131 black & white photographs selected from over 1000 photographs taken in 1969&1970, 2 colored maps, illustrations of locomotives & cars of DHR, and 17 photos of MHR, including a fascinating “Goose” built from 1920s old omnibus of Dodge motor company,USA. for further details: see DHR&MHR 1969 and the book with English text is available at "Camden Miniature Steam Services". 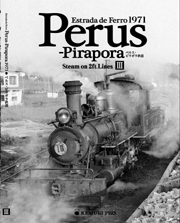 One and only book covers entire story of Estrada de Ferro Perus–Pirapora(EFPP), in neighboring district of Sao Paulo,Brazil. 114pages,160 photographs showing old Porter and Baldwin engines running in "the last sanctuary of narrow gauge trains". History of EFPP with rare photographs of its early days are from Mr. Nilson Rodrigues, a Brasilian railway enthusiast. for further details: see EFPP 1971, English text will be uploaded by next year. A stunning photographic documentary book about a 2-foot mining railway in Taiwan. 80pages, all black & white, double-tone prints, containing 180 photographs, 5 maps, drawings of locomotives and ore-cars. Very rare photos of 2-footers on muddy roads, unique incidents, makeshift repairing and cheerful young railroad workers on their jobs. Copyright (C) Nankaru Publishing Bureau, All rights reserved.